The article in PDN, linked above, got me thinking about records. How do you measure a world-record camera? Is the proof in its two-dimensional product, or in its cubic dimensions, or in the linear distance of lens-to-recording medium? 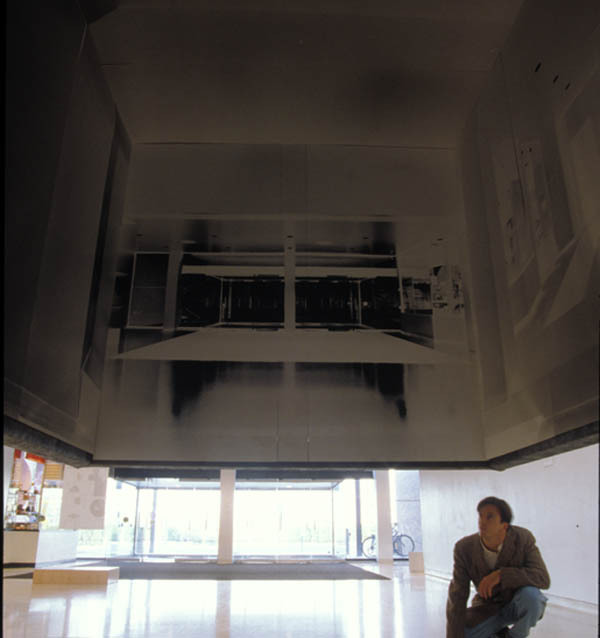 There are several orders of magnitude separating the planned hangar-sized “dark room” and the records cited in the article for print scale, which are at most twice my height. Well, to clarify, the image they produce is twice my height, while the hangar will produce a 25 x 100 foot image. Anyone who’s seen Vera Lutter’s work knows that large images from airfields have already been secured; I’m not sure if she worked in a darkened hangar, but what other obscurable room would have been available to make the enormous black-and-white prints of airplanes she’s exhibited in Chelsea and elsewhere? She made one of the Nabisco box printing factory in Beacon, NY (now the home of Dia:Beacon) that measures about 9 x 14 feet. British artist Steven Pippin made images using a shipping container transformed into a multi-pinhole camera for “Brilliant!”: New Art from London, a mid-1990s Walker Art Center exhibit. 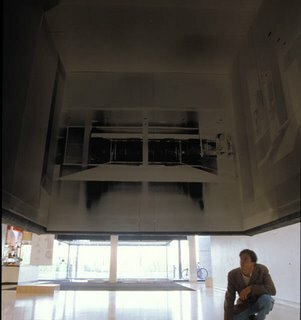 The camera recorded images of the space–the museum’s Vineland Place lobby–in which it was hung during the show, high enough for people to duck under and view the work from inside out. 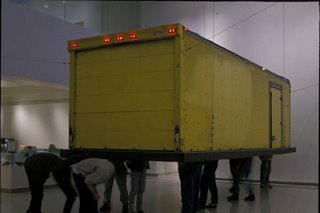 Here are two views of the installation. Another way to measure the phenomenon is to consider the dimensions of the surface receiving the image. 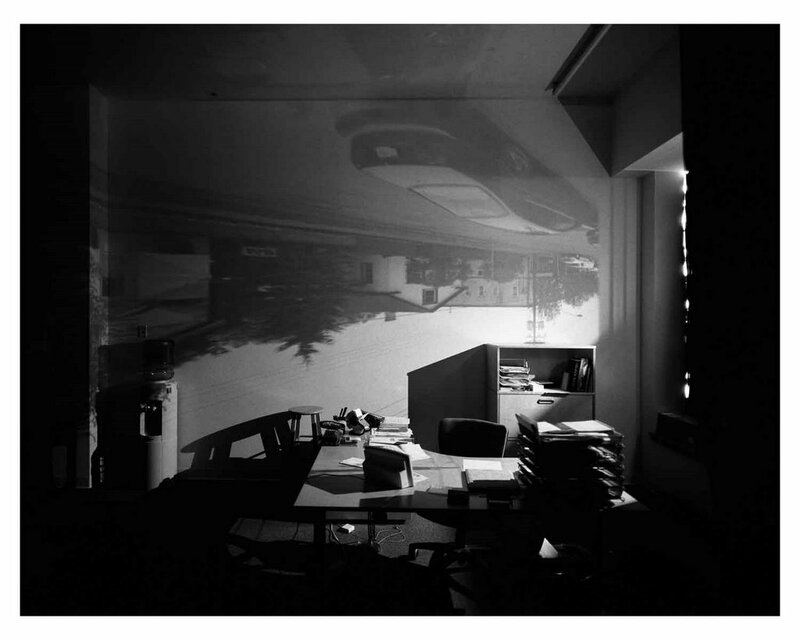 Abe Morell has certainly proven his ability to project and capture image in large spaces, and Aaron Bommarito recently transformed the Minnesota Center for Photography in Minneapolis, 12-foot ceilings and all, into a walk-in camera obscura. I guess records are made to be broken–sometimes by will, sometimes by retrospect, knowing what’s come before but has perhaps been unchronicled.